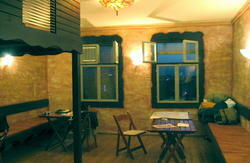 This is not an ordinary hostel but also a place for cultural activities and meetings. Here you can find also a tourist information center, exhibition hall, where various cultural events and seminars take place. An art cafe is under construction in our backyard. 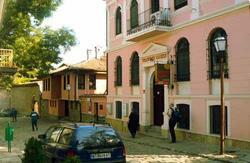 Hostel Plovdiv Guest House is also highly secure, equipped video monitoring system. Here you can enjoy your freedom - there's no curfew, no lockout either. It's very easy to find Plovdiv Guesthouse because of its central location close to the downtown, in the heart of the Old Plovdiv district. If you come from the Plovdiv city center, walking on its main pedestrian street you need to get to the Central Mosque (Dzhumayata) with the underground remains of the Roman Stadium besides. From there, beyond the small garden (the so called 'Mosque garden'), you need to take the pavement street going uphill into the Old town. You go only straight and up and in about 3-5 min. walk you'll find the guesthouse on your right. The appartments ar situated app. 5 minutes by foot from the main building. - Free information support for every spot of Bulgaria. Once you walk out the Central railway station, you'll see a bus station in front of you. You may catch buses 7, 20, 26 (bus ticket - 0, 30 ) or mini-bus shuttle 2 (shuttle ticket - 0, 35 ). You need to get off at the 6th bus station, the one straight after the tunnel - travel time: 10 min. 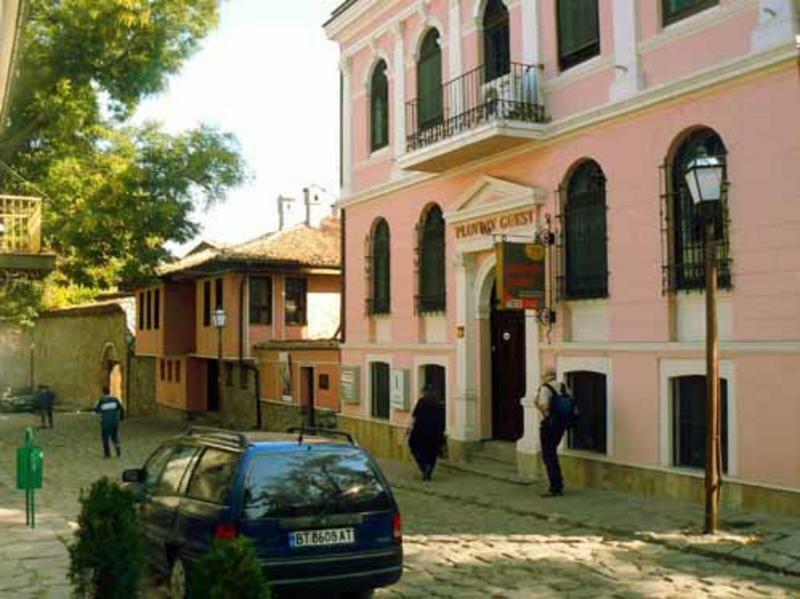 Then you walk back for about 30 m (passing by the subway on your left) and take the stone stairs to the left, leading uphill to the Old Plovdiv. In another 30 m walking on a cobbled narrow street you ignore the first street to the left and take the second one, again to the left. In 60 m you come to a crossroad with the Balabanov house on your left. There you continue straight ahead and uphill. About 60 m further up you get to another crossroad with a high church wall and a bell tower in front of you. There you turn right and in about 35 m you'll find the Plovdiv guesthouse on your left. 1. Bus station 'South', serving passengers coming from South Bulgaria and Sofia. Just across the bus station street there is a public transportation bus station. From there you may catch buses 7, 20, 26 (bus ticket - 0, 30 ) or mini-bus shuttle 2 (shuttle ticket - 0, 35 ). You need to get off at the 5-th bus station, the one straight after the tunnel - travel time: 10 min. Then just follow the same directions as in the 'by train 'description above. 2. Bus station 'North', serving passengers coming from North Bulgaria. In front of the bus station you'll see a public transportation bus station. You may catch bus 21 (bus ticket - 0, 30 ) or trolley bus 3 (trolley bus ticket - 0, 30). You need to get off at the 6-th bus station, the one just before the tunnel - travel time: 10 min. Then you take the subway which you'll find on your left after you get off the bus. After about 50 m walking underground you take the right stairs and get up on the ground surface. Immediately after you take the stone stairs to the left, leading uphill to the Old Plovdiv. Then you follow the same directions as in the 'by train' description above. 3. Bus station 'Rhodope', serving passengers coming from the nearby Rhodope Mountains. You need to get down the subway beside the bus station. In about 300 m. walking underground you take the left exit and arrive at the bus station in front of the Central railway station. There you just follow the same directions as in the 'by train'description above-travel time on the bus: 10 min. Always check the taxi rates and the approximate amount for the drive before getting on a taxi!